This is an iron-on patch made by STKR.IT. You may have used this on scrapbook projects, but you will love it on your quilted projects. I don't know about you, but when I bind a project, I am ready to be done with it. Wait, now I have to sew on (or finish stitching if I stitched two sides of it at the same time as the binding) the label! With StoryPatches by STKR.IT I just had to iron the patch on (they also make a sew-on patch), then went to their website and clicked on the Play/Create tab. I was then prompted with two options: play a message (containing audio, video, photos) by entering the code at the bottom of the patch, or create a message by, again, entering a code. Since I wanted just a voice message (remember, this is for a teenager! ), I actually recorded the message using my iPhone, emailed it to myself and saved it on my laptop. Once I clicked on the Play/Create tab and entered the patch code on the 'Create' box, it was easy to just add the message. Do you want to try it? 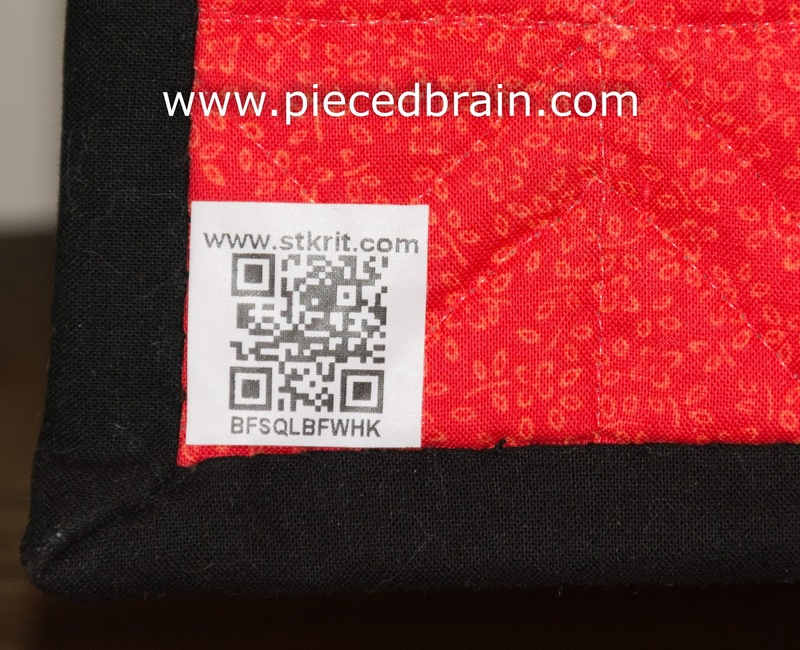 Go to www.stkrit.com, click on the Play/Create tab and enter the code shown on the photo above on the Play box: BFSQLBFWHK. This is the message that Chris heard this morning when I gave him the quilt. How cool is that? THE perfect way to label a gift for a tech-savvy teenager! When I use the StoryPatches on my grandson's next quilt I will actually include a video message - he will see and hear me, as he does when we use Facetime or Skype. Otherwise, we will have to wait until he can read to be able to understand the scribbles on a quilt label. Finishing my quilt projects have just become easier. Yeah! 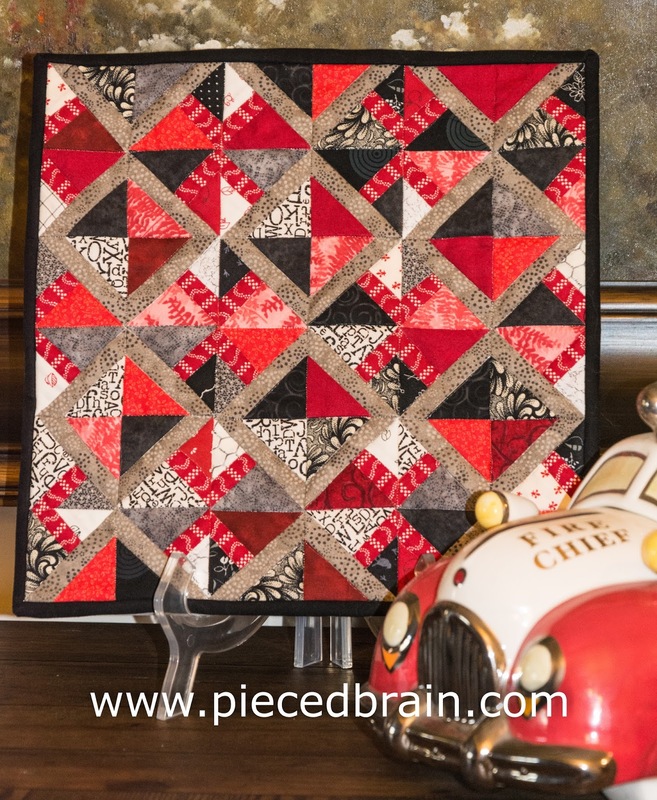 Great idea.Stunning quit and love your fabric combo!